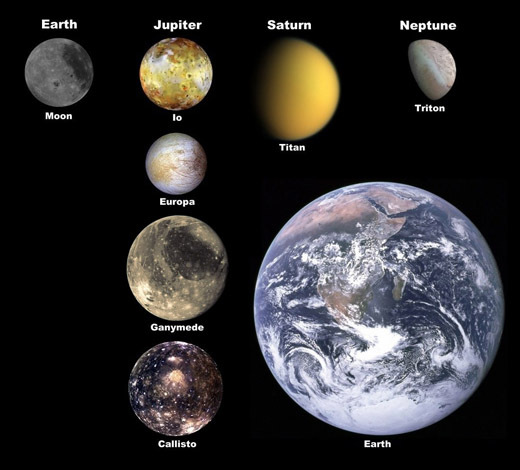 Did you know that over 170 natural satellites orbit six of the eight planets in our solar system? Take the quiz below to see how much you know about this diverse group of celestial bodies. The seven largest moons of the solar system, with Earth for scale.